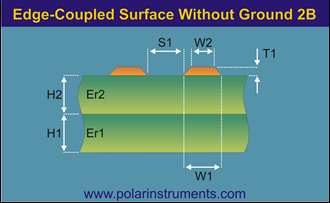 This application note explains how to model and document this scenario in any situation where the differential pair needs to be a “pure” differential implementation. (100% of the signal and return being carried by the pair rather than partially returned through an underlying ground). 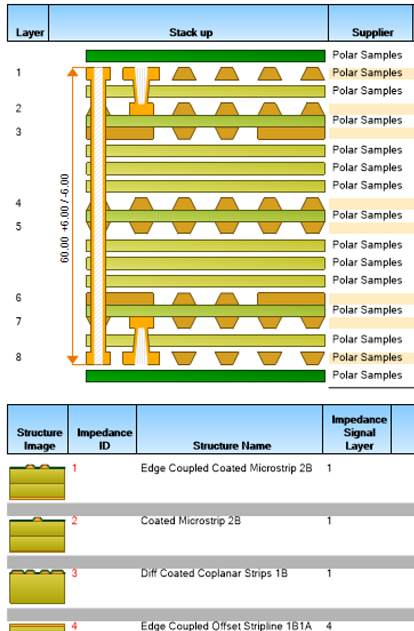 The structure is depicted in the Si8000m and Si9000e field solvers in the graphic below. In Speedstack you need to be slightly creative to document this as the 2-D nature of Speedstack means you need to deploy a structure from a stackup with no apparent underlying ground. So how do you obtain a groundless structure in Speedstack? To reveal the available groundless structures you need to ensure that every reference layer in the stack is set to mixed signal / plane. 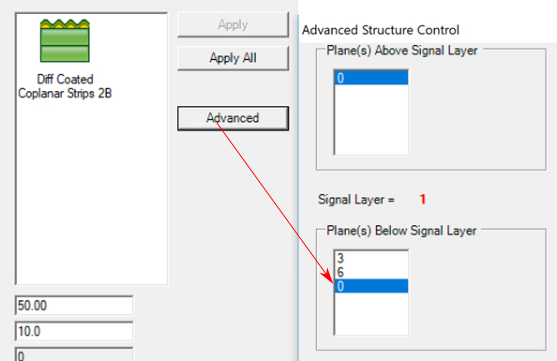 Speedstack presents a list of applicable structures for the selected layer so the presence of a solid reference plane within the stack up will always result in a list of structures where a reference plane is present. 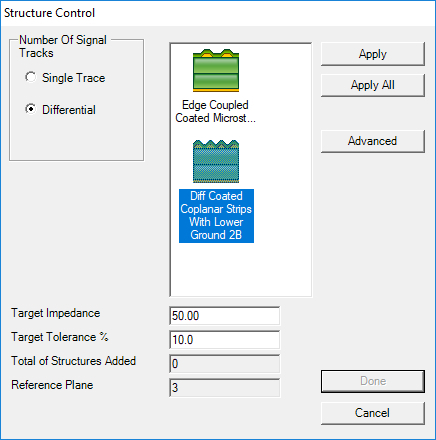 Setting all reference layers to mixed signal / plane allows the structure selector to also provide access to structures without a separate reference plane, which is what Speedstack requires to model groundless differentials. Click the Diff Coated Coplanar Strips With Lower Ground 2B and then click Advanced and set Planes Below Signal Layer at 0. This will now allow you to enter groundless differential structures. In Speedstack they show as coplanar – and for modeling purposes simply set the space of the coplanar grounds to be far enough from the pair to be “out of harm’s way” – set to 10x trace width. From the File menu choose Print Technical Report to display the complete stack. 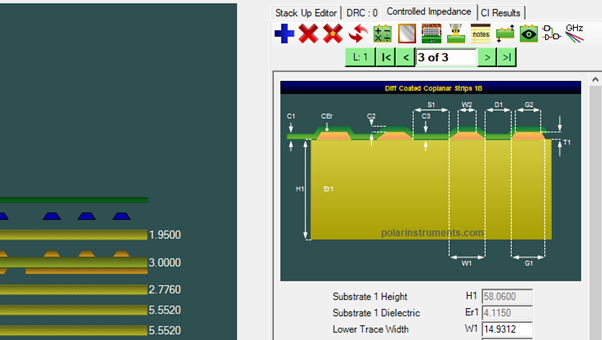 If you have questions about stackup documentation, impedance or insertion loss please contact your local Polar office. They will also be pleased to offer a Webex demonstration or evaluation license.